Meghan Markle added Hollywood chic during her first Christmas outing with the royals. Hollywood actress, activist and Prince Harry's soon-to-be wife Meghan Markle stepped out for her first Christmas outing with the royals on Monday to attend the annual service at St Magdalene Church in Sandringham and stole everyone's thunder in an absolutely stylish royal attire. It also was the first time all four -- Prince Harry, Meghan Markle and Duchess of Cambridge Kate Middleton, accompanied by her husband Duke of Cambridge Prince William -- were snapped together, all looking stylish as ever for the special occasion. While Meghan and Kate's chic appearances were a treat for sore eyes, the men looked dapper as ever. 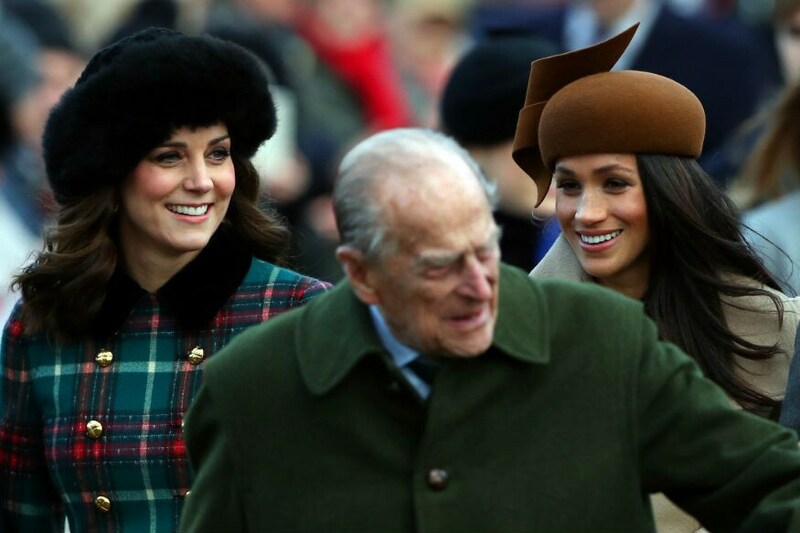 On one hand while a pregnant Kate sported a fully festive look in a Miu Miu velvet-trimmed double-breasted tartan wool-blend peacoat and a Kiki McDonough black hat, Meghan on the other hand showed off her great fashion sense in a tan coat by Sentarel. The 36-year-old Suits star paired her attire with a fascinator-like dark brown hat and matching boots. Maghan also carried a Chloe ‘Pixie’ handbag in brown leather and caramel suede with a gold-coloured handle. The fashion connoisseurs were truly impressed with Meghan's dress sense for her first royal church outing. Everything seemed perfect and Megan looked absolutely at ease, walking arm-in-arm with Prince Harry for the annual Christmas service at the church. Seems like we will have a lot to look forward to in 2018 in terms of fashion and style as far as both Kate and Meghan as concerned.